Industrial heat sealers for manufacturing and industrial packaging applications. 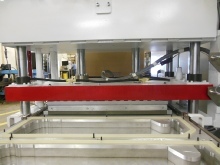 Industrial Heat Sealers can be used for thermal manufacturing of packaging and products. Horizontal and vertical orientations. 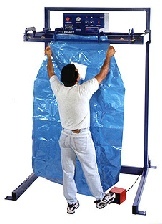 Industrial Vacuum heat sealers are available. Large bar style heat sealers from 36“ to 120”. Custom heat sealers, with multiple sealing elements, and custom platen style heat seal presses are also available. Explosive proof heat sealers. Please contact us for details and pricing.